Over 10,000 Palestinians participated in weekly protests and riots along the Gaza Strip’s border with Israel Friday afternoon. Despite reported calls by organizers and armed factions to avoid violence, as Israel and Hamas work to achieve a long-term truce, clashes were reported. Some protesters hurled rocks and explosive devices at Israeli troops, who responded with less-lethal measures. The Hamas-run health ministry in Gaza said 70 people had been injured, one of them critically. By nightfall the protesters had disbanded. A Palestinian who crossed the border was detained by Israeli troops. Last week’s rallies, on the one-year anniversary of the start of the marches, drew over 40,000. On Thursday a top March of Return organizer told the Kan public broadcaster that protesters have been instructed not to launch incendiary balloons toward Israel during the rallies, and that the nighttime “confusion units” have been called off. According to the organizer, who was not identified, Gaza factions had committed to a nonviolent protest, and Israel had agreed not to use live fire to disperse the border demonstrations. There was no confirmation from Israeli officials. Israeli officials have long held that the Jewish state’s limitations on movement aim to prevent Hamas and other terror groups from transferring weapons into Gaza. There appeared to be a breakthrough in the ceasefire efforts last weekend, when Palestinians in Gaza maintained relative calm along the border during large protests on Saturday. Israel, in turn, reopened its two crossings with Gaza on Sunday, having closed them last week after a rocket attack struck a home in central Israel and injured seven people, and significantly expanded the permitted fishing area on Monday around the coastal enclave. 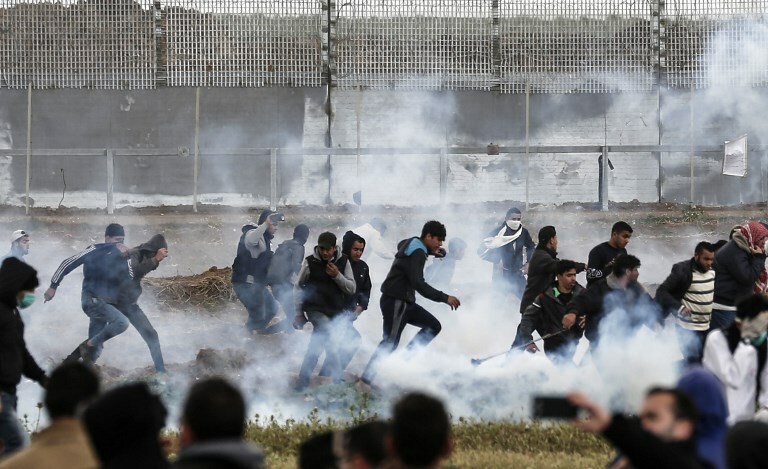 Over 40,000 Palestinians took part in the rallies at the Gaza border last Saturday, with some rioters throwing grenades and explosives toward the security fence as well as lobbing rocks at troops and burning tires. The enclave’s Hamas-run health ministry said three 17-year-old Palestinians were killed during the protests last Saturday, while at least 300 were injured.